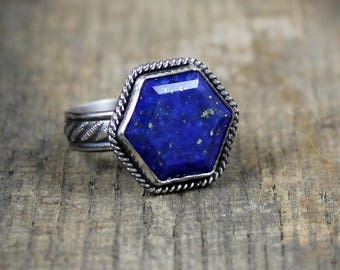 I love the look of gold, especially when mixed with gold and silver. As gold is too expensive for my small studio to work with, sometimes I can substitute brass when applicable to provide the same effect! 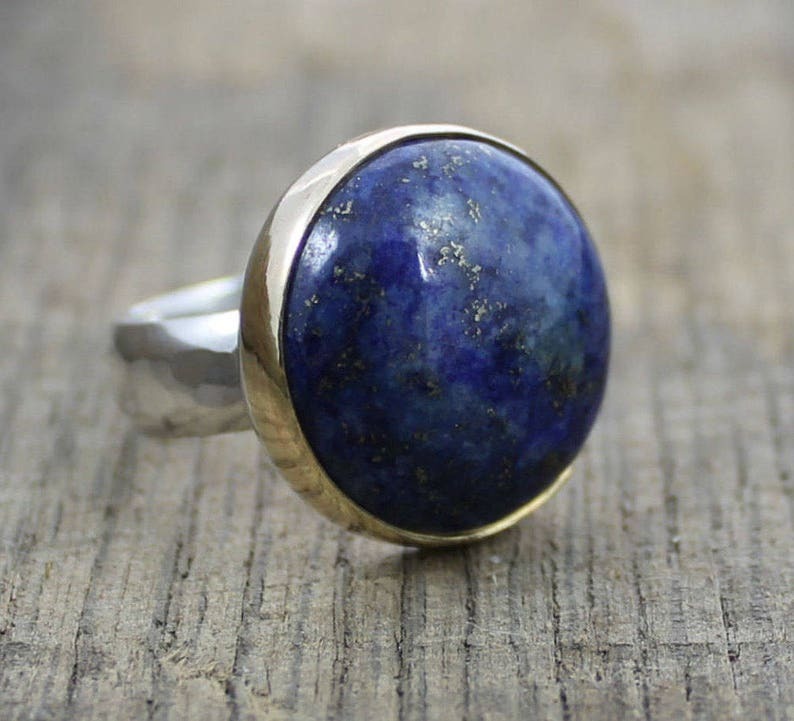 This ring features a gorgeous natural lapis lazuli with some organic pyrite striations running through, simply set in high polish brass with a hammered sterling ring shank.